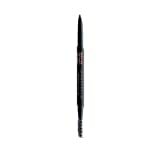 The Anastasia Beverly Hills Brow Wiz is an ultra-slim, retractable pencil with a unique formula ideal for outlining and filling in brows. The fine tip mimics hairlike strokes and the custom spoolie end blends for a natural finish. 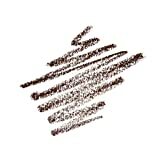 Use Brow Wiz in one shade deeper than your brow hair color to create dimension. For darker brows, use one shade lighter than your natural brow color. For lighter brows, use one shade darker. To map out the shade, start by filling in brows at the middle of the brow and work toward the tail end. Fill in the front of the brow last with less intensity than the rest of the brow. Use a lighter color as a base and a darker color for creating hairlike strokes. Interested in the Anastasia Beverly Hills - Brow Wiz - Soft Brown? Is the price too high? You can easily price watch this product and we'll notify you when the price reaches your target.